As a dancer, either young or old, there will be guaranteed pains you will encounter during your dancing lifetime. 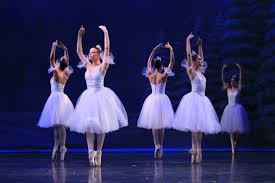 Be it pain going onto pointe, pain after a hard day dancing in a different way to usual, or even the aching pain after a long rehearsal; it is not necessarily a bad pain, but more the feeling that you have worked your body and are feeling the results. However, not all pains are good ones, and some act as warnings from the body because it is injured, rather than it just experiencing general dancing aches and pains. It is vitally important to know the different between this dancing or bodily ‘improvement’ pain and injury pain, i.e. when it is safe to continue dancing, and when you must stop, or at least give the body a break in order for it to repair. Some pains are the body telling you it is strengthening and improving itself whereas other pains call for rest, and sometimes even rehabilitation, so as not to hinder the body in any way. Dancers therefore need to correctly interpret the pain they are experiencing. For professional dancers, pain can sometimes occur daily, so it is important to identify whether this needs attention or not. Some dancers are hyperaware of their bodies – as well as having a high tolerance of pain – and can instantly recognise the difference between generic pain and injury. On the other hand, some less experienced dancers may think their general aches and pains are injuries, and treat them according to their perceptions. Alternatively the may push through injury pain without seeking assistance or taking the rest that they should. Dancers must ultimately be honest with their body when it is in pain to make sure they can aid it in the best possible way.